Why do entrepreneurs face an uphill battle when trying to sell in Canada? 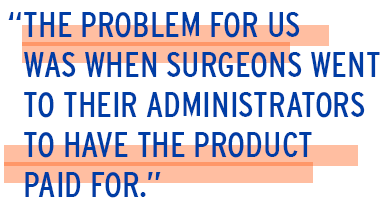 Synaptive Medical wants to help neurosurgeons do a better job. 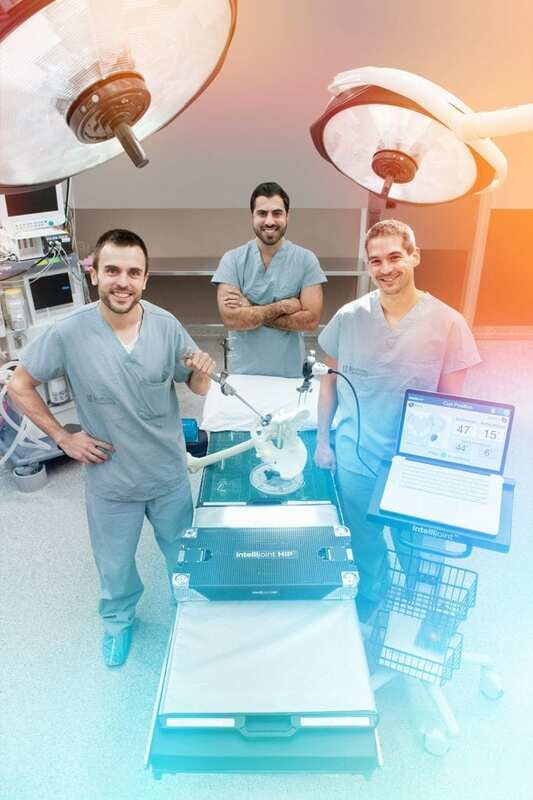 The Toronto startup’s suite of visualization equipment and applications for neurosurgical procedures includes high-definition, 3D imaging tools (for use before and during surgery) and even a life-like, simulated brain for practice purposes. 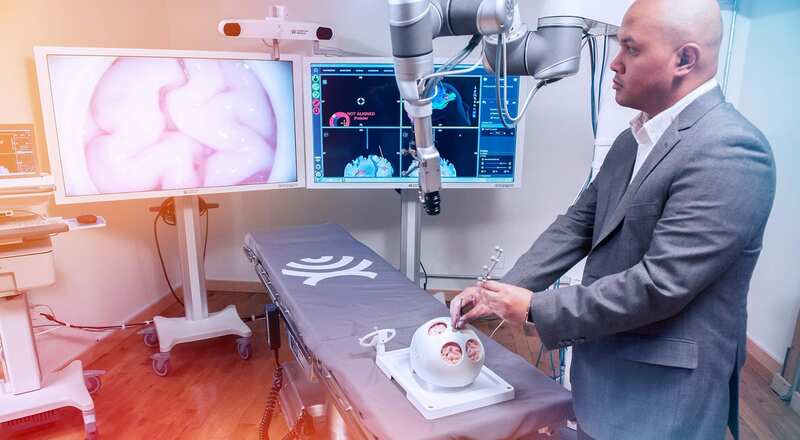 “We help surgeons be more efficient with their surgery and use better information to guide their decisions,” says Synaptive Medical president Cameron Piron. But the company has yet to make a sale in Ontario, its home market. And this, despite receiving Health Canada’s green light for its suite of products last summer (the U.S. Food and Drug Administration gave their approval a year earlier). In fact, only after striking deals with the Aga Khan University Hospital in Pakistan and 15 major US customers, such as Seattle’s Swedish Health Services, Cedars Sinai Medical Center in Los Angeles, Houston Methodist Hospital and Emory University Hospital in Atlanta, was the company finally able to find a Canadian customer — in Vancouver. “Certainly, our neighbours to the south take a little more initiative in taking on new technology to impact change in their healthcare systems,” says Mr. Piron, a medical biophysicist and serial entrepreneur who founded the company about four years ago. International customers may be more willing (and more able) to make the significant investment required — installing the system can cost more than $1-million — but not having a buyer at home can also be a hindrance when it comes to selling abroad, says Mr. Piron. Synaptive Medical is not alone. Waterloo-based startup Intellijoint Surgical produces a device that helps surgeons achieve better accuracy when performing hip replacements. Founded in 2010, Intellijoint received Health Canada approval in 2013. The first use of the product took place at Toronto’s Mount Sinai Hospital that December, but since then, sales have taken off in the US, not in Canada. Canadian surgeons realize “what Intellijoint Hip could do for their patients,” says chief executive officer Armen Bakirtzian. “The problem for us was when surgeons went to their administrators to have the product paid for.” Intellijoint charges $1,000 per surgery for the license to use the technology. Dr. Bakirtzian says the problem has reached the point that his company has pretty much stopped trying in Canada and is focusing mostly on the US. Why are so many innovative Canadian startups facing such difficulty here at home? Hadi Salah, manager of health ecosystem partnerships at MaRS Discovery District, says some of the challenge lies within the procurement system. Clients in the US do not face the same restrictions — they tend to buy anything that works for them. Mr. Salah points to Kaiser Permanente in Oakland and Cedars-Sinai Medical Center in Los Angeles as pioneers. Another barrier here is that many startups fall into the “valley of death” — they lack the resources to survive the Canadian system’s frequently long sales cycles. Also, most hospitals won’t consider adopting a new technology if the cost isn’t reimbursed by their provincial health ministry, notes Mr. Salah — which, in Ontario, can take years even after Health Canada has given its approval. The program connects such companies with regulators, payers (insurance providers) and academic researchers, who all work to build an “EXCITE evidentiary bundle” demonstrating the value of the technology. This bundle includes clinical trial data, an economic analysis, a systematic and comparative effectiveness review and a “human factors” review. Last fall, she adds, the ministry added a bonus to the program by committing to work with a company to help it recover in revenue, at minimum, what it paid toward the EXCITE study. (For example, companies underwrite any trials required.) “To my knowledge, no other health system has done that,” she says. Toronto-based BresoTec is the first company to go through EXCITE. Its BresoDx diagnostic tool is a cheaper, simpler and more consumer-friendly home test for sleep apnea — what founder Dr. Geoff Fernie calls a “game changer” for those (one person in 10) who suffer from the disorder. The company was also supported by MaRS Innovation, a non-profit that acts on behalf of 16 member organizations (15 of Toronto’s top universities, institutions and research institutes, plus MaRS Discovery District) to help commercialize discoveries. With a green light from Health Canada to sell their product, BresoTec faces one last hurdle — adoption by the healthcare system. “Now it’s up to the Ministry of Health to come to a decision,” Dr. Fernie says. Mr. Salah says he’s seeing “a lot of need and want” from across Canada and the world for programs that are similar to EXCITE. “This model is already being adopted by others,” he says. In fact, a spinoff called EXCITE International has been launched, retaining the features of the Canadian program, but also including payer input from the US and UK. “Companies that want to basically launch in all three markets globally can use this as a single entrance point,” says Ms. Di Marco. Would you quit smoking for Aeroplan miles?